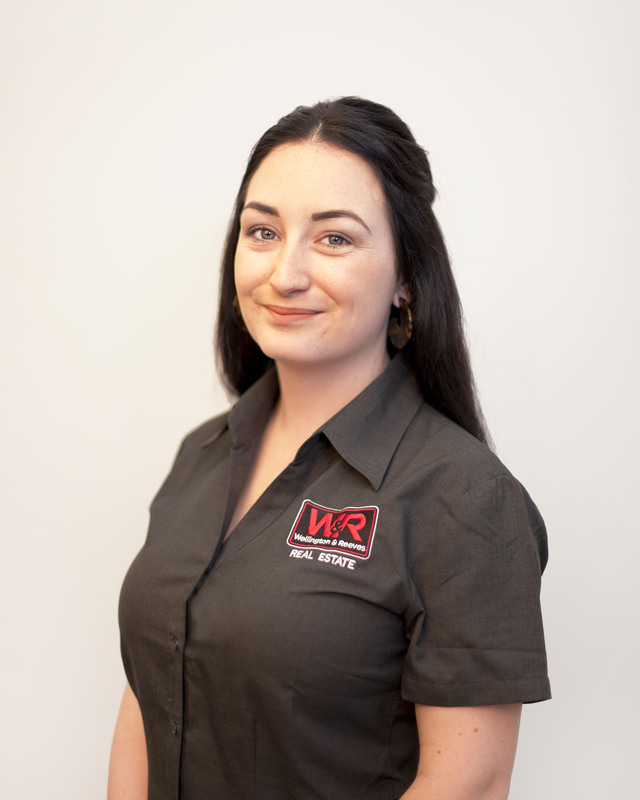 Profile: I joined the Wellington and Reeves team in March 2016. I was a waitress at the Venice Restaurant for 5 years until I started my study to become a licenced property manager. I started at Wellington and Reeves as a property manager assistant then once I had completed my study I became a property manager. I have always wanted to be a property manager as I am very passionate about the real estate industry. I enjoy interacting with owners, tenants and trades people to come out with the best result for all parties. I’m a friendly and helpful person to all those I communicate with. I stride for satisfaction in everything I do and I will do my very best to give the best result. Please do not hesitate to call if you have any questions, I am always here to help. Zoe, a very big thank you for all your help, efficiency, friendliness and care you have shown me (and the house) over the years. I truly appreciate how well you have looked after my property in my absence. I have no hesitation in recommending Wellington & Reeves to anyone who is looking for a letting agent and to request Zoe to be their specific agent!! Once again thank you ever so much. Always replies to emails promptly. Is very helpful & courteous & easy to deal with. P.S. I never give full marks - ever - hence my notes above. Zoe does a great job! My assessment is that Zoe is a courteous & competent property manager. I enjoy having Zoe as my agent. She is very efficient & friendly. Considering that I live in South Africa & there is a 6 hour time difference, if Zoe feels that something is urgent she will organise a quote/s to send with her first message to me. This cuts down the turn-around time and effectively can save me extra cost. She uses her initiative & always waits for permission before giving the go-ahead for work to be done. She also follows up on problems to ensure that they are done both timeously & correctly. Having Zoe as my agent gives me peace of mind knowing that she is acting in my best interest. Thank you Zoe. Zoe is easy to get along with, nice personality & always obliging. Zoe has been amazing. Was a very stressful experience but she did everything to help us. Kept us updated with all the changes that were happening. Also very quick with responding to my emails & calls. Thank you. She is a very professional property manager & always gets anything I need done in a very prompt time. She is always a pleasure to deal with. Zoe is very enthusiastic & appears to enjoy management of my properties. She is quite easy to contact & returns my calls. Very friendly, fast, happy service. Zoe is very friendly & happy to help. She is prompt, reliable & efficient. If any problems arise, she is quick to resolve them. Zoe is very professional, she returns calls immediately and is always approachable. She is very understanding & respectful to our queries. Zoe has been professional & helpful in managing our rental property. She has kept us informed in a competent & friendly manner. Thank you. Zoe is highly professional & outstanding at her job. She has always been kind, understanding & approachable. Whe we did have a crisis, Zoe was attentive & kind & it was greatly appreciated. She is well spoken & a fantastic representative for your company. I would not hesitate to recommend Zoe to a 3rd party. Zoe is definately the best manager we have had whilst being W&R clients. Many thanks Zoe.